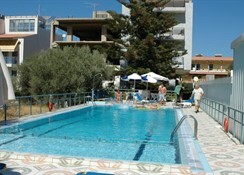 This modern complex is in the quiet tourist area of Daratso - Agii Apostoli, 4.5 miles from the town centre which can be reached by bus and the bus stop is right next to the hotel. Some of the best beaches can be found only a few metres away from the hotel, 200 metres away are the award winning beaches of Agii Apostoli, as well as Glaros beach, while Kalamaki beach and Chrissi Akti (Golden Beach) are located 350 metres and 400 metres away respectively from Nontas Apartments. 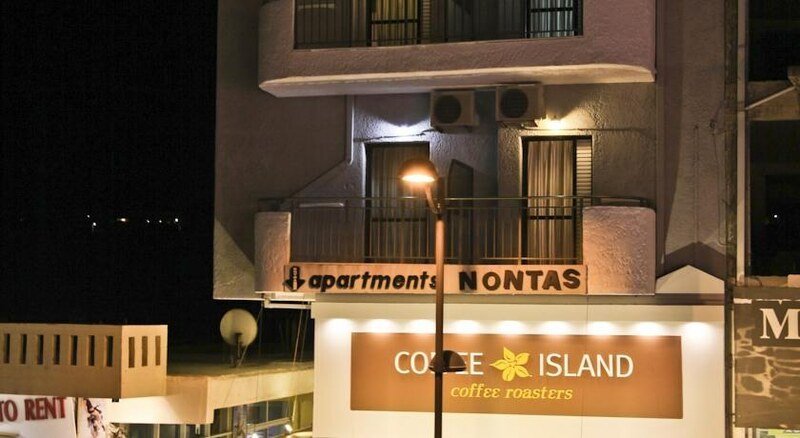 The Nontas Apartments will appeal to families and couples looking for comfortable accommodation within easy reach of numerous excellent beaches. 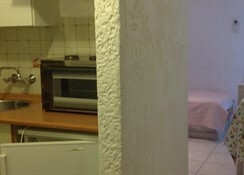 The property has 14 two person studios, 8 three person studios and 8 two to four person apartments. 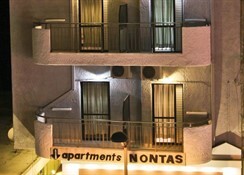 All the balconies have a view of the sea and surrounding area. The area has an excellent bus service with regular transport around the island. Chania has a lovely Venetian harbour, an old town and Minoan, Roman, Byzantine and Ottoman archaeological sites. 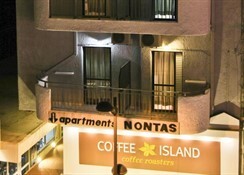 For a beach holiday in Crete this is an excellent choice.